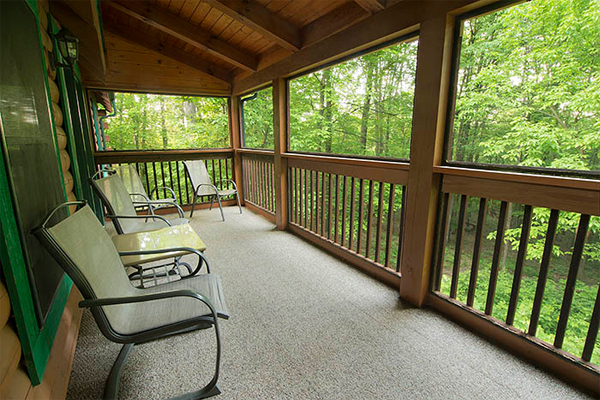 Catbird Cabin in Hocking Hills. 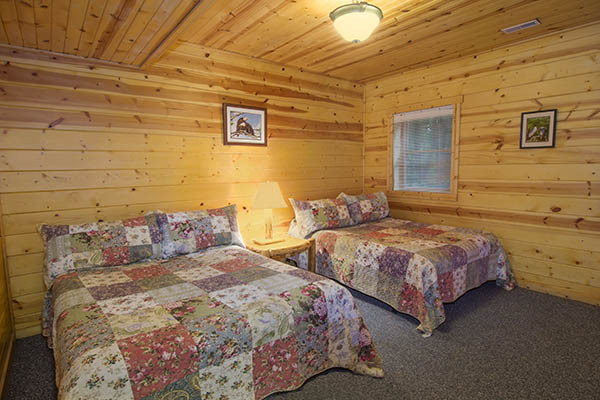 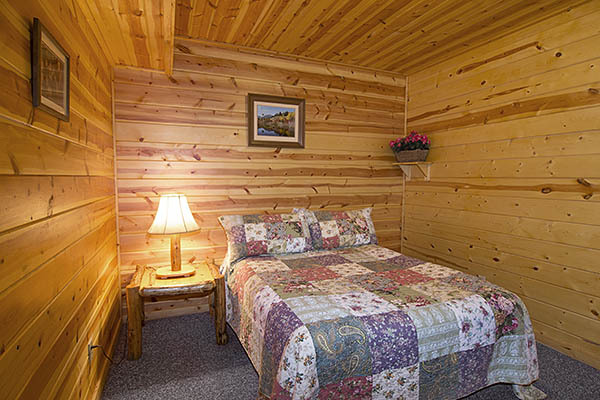 Catbird Cabin offers plenty of room for guests. 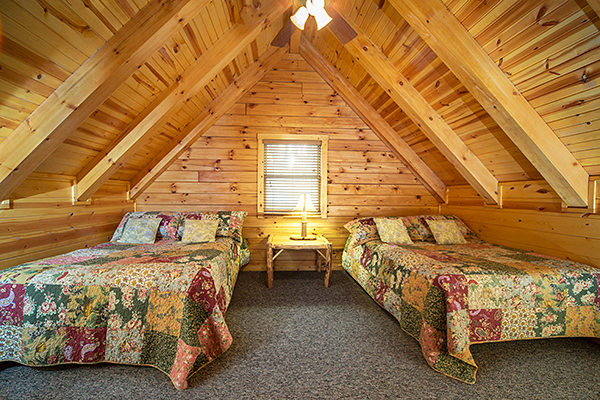 There are 4 bedrooms and a sleeping loft with a total of 6 queen-sized beds. 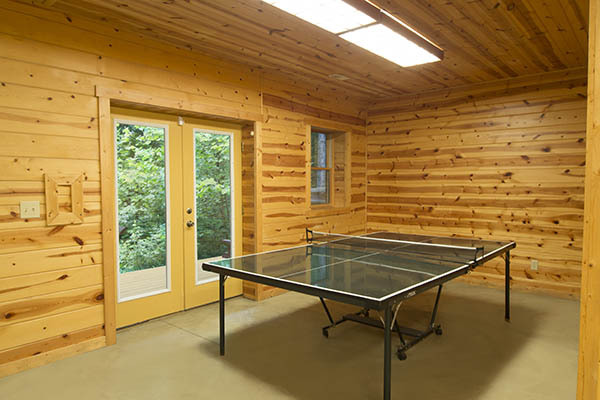 Like the other cabins, it has a ping pong table and wraparound porch overlooking the wooded hillside. 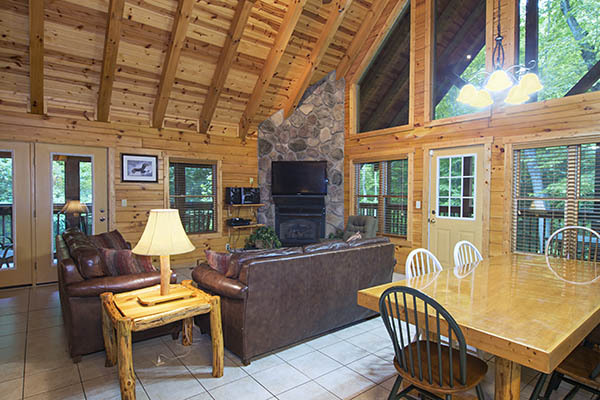 However, Catbird cabin features a floor to ceiling fireplace, a larger hot tub, a large screen HDTV and a larger dining table. 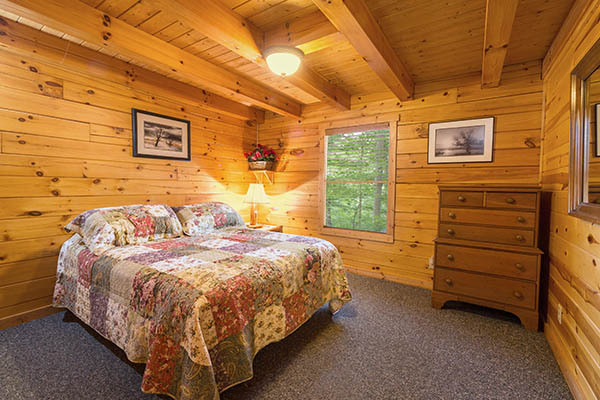 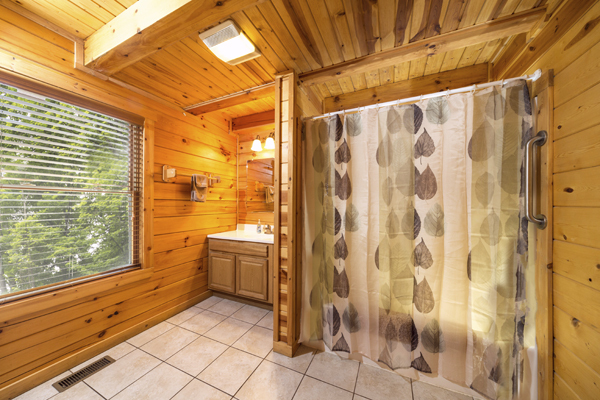 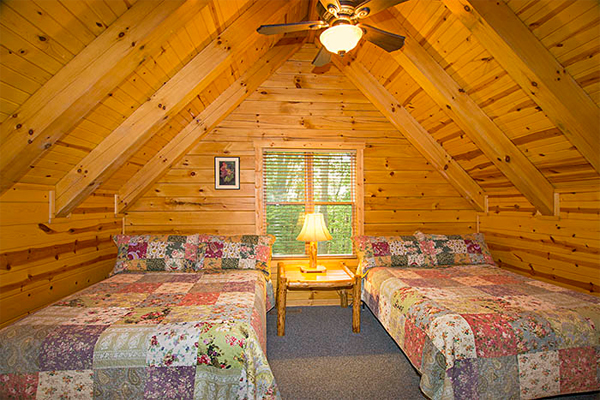 All of these amenities are settled in a secluded woodland setting. 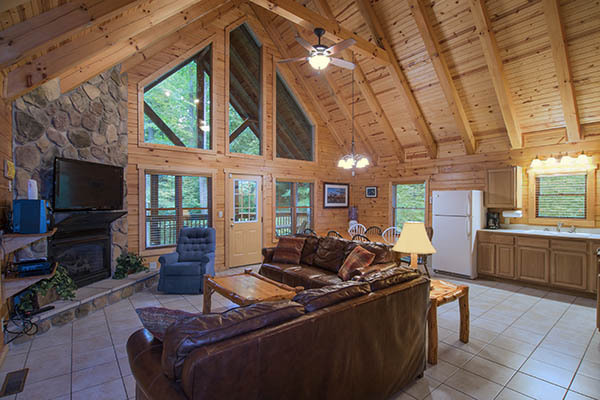 Of course, there is also bottled drinking water, air conditioning and miles of hiking area. 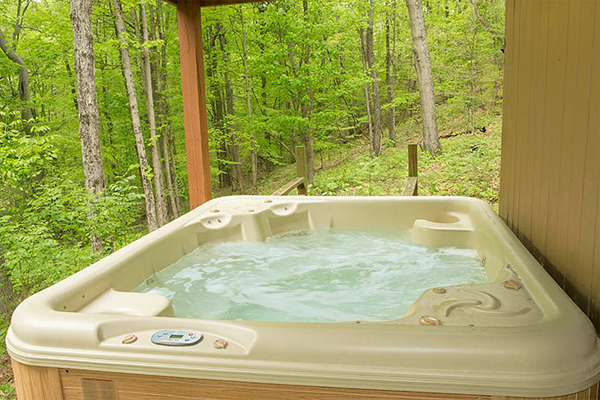 Enjoy the view overlooking the woods from hot tub. 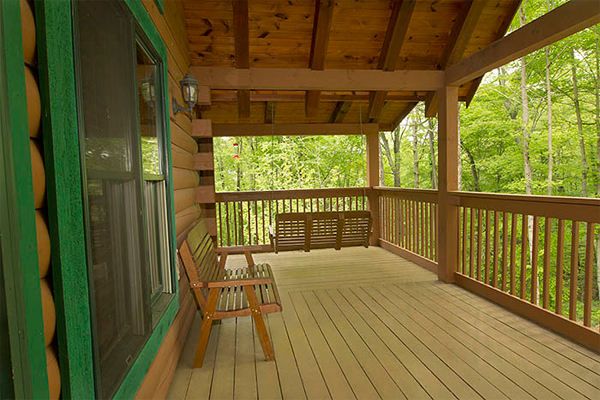 There is an elevated screened porch, and a deck below with a large hot tub, overlooking the wooded hillside.